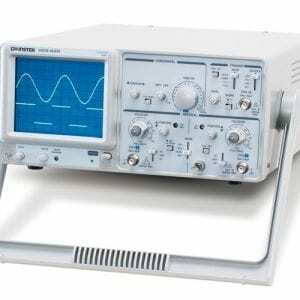 The GDS-2000A Series Digital Storage Oscilloscope offers 2 and 4-channel configurations and wide bandwidth selections, including 300MHz, 200MHz, 100MHz, and 70MHz. 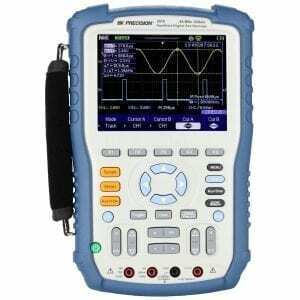 Each model provides 2GSa/s maximum real-time sampling rate and 100GSa/s high-speed equivalent-time sampling rate. 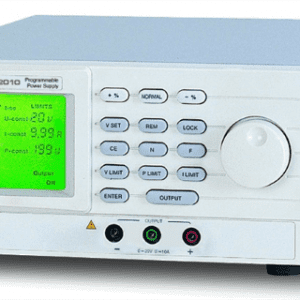 Equipped with an 8-inch 800 x 600 high resolution TFT LCD display, 1mV/div to 10V/div vertical range and 1ns/div to 100s/div time base, the GDS-2000A Series is able to faithfully demonstrate waveforms of complicated and obscure signals. 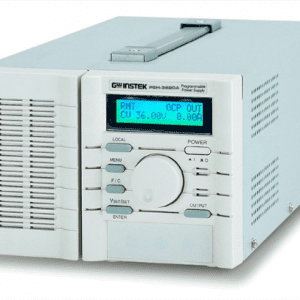 The GDS-2000A Series provides 2Mega point record length, and Waveform Search and Segmented Memory functions as standard features. The events of interest can be captured and saved into the Segmented Memory, which can be divided into 2048 sections, for observation, while the irrelevant waveforms can be ignored. Consequently, the overall efficiency of memory usage can be enhanced. 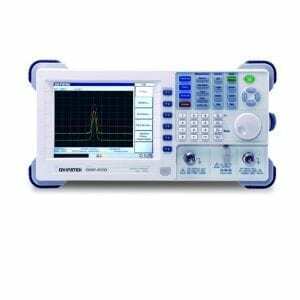 Under Waveform Search mode, after the input signal is triggered, the GDS-2000A Series is able to Search and Mark the waveform sections, which comply with user-defined search condition and threshold level within the whole memory. 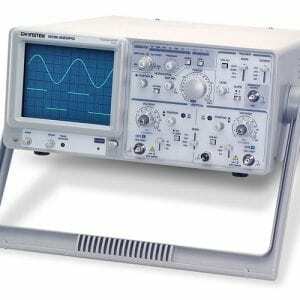 Meanwhile, the Zoom window and Play/Pause button to scroll through whole displayed waveform, the user can rapidly navigate all the waveforms in an efficient way. 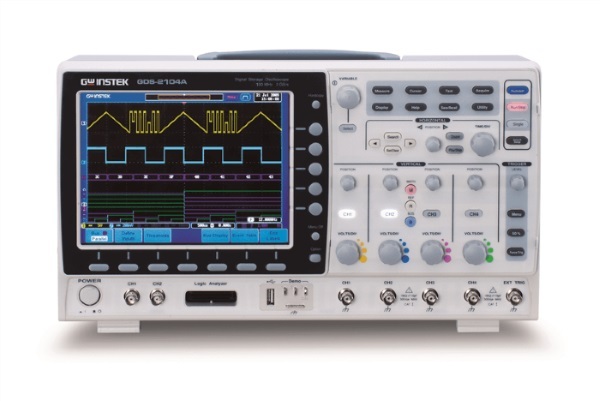 300MHz, 200MHz, 100MHz, 70MHz Bandwidth, and 2 or 4 Input Channels. 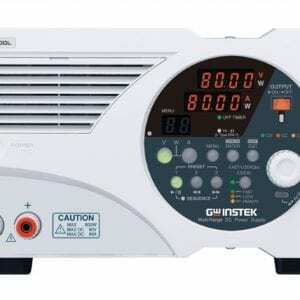 2GSa/s Real-Time Sampling Rate and 100GSa/s Equivalent Time Sampling Rate. 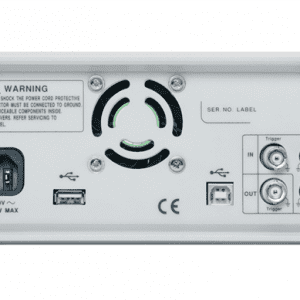 1mV/div to 10V/div Vertical Range. 1ns/div to 100s/div Time Base Range. 80,000 wfm/s of Waveform Update Rate. 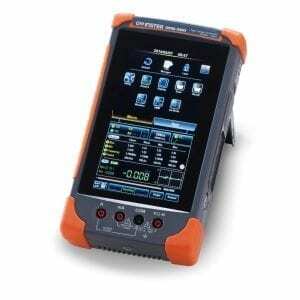 8-inch 800 x 600 High Resolution TFT LCD Display. Built-in Segmented Memory and Waveform Search Functions to Optimize the Efficiency of Record Length. Zoom Window and Play/Pause can Rapidly Navigate the Waveforms. 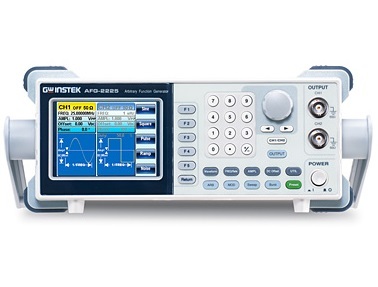 36 Automatic Measurement Functions Offer Various Measurement Selections. 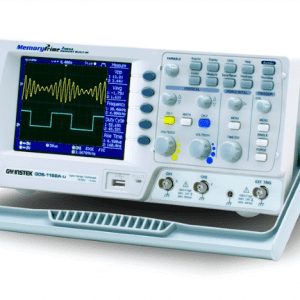 Standard Models provide 12C, UART, SPI Serial Bus Trigger and Decoding Functionalities. 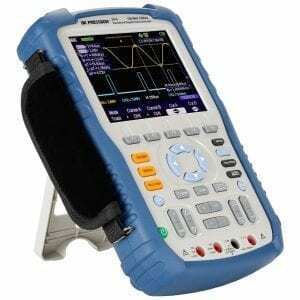 Optional 8 or 16 digital channel with Logic Analyzer (MSO). 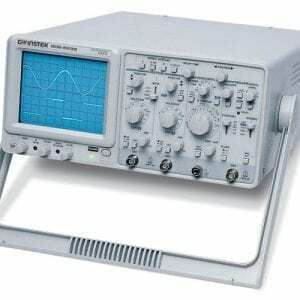 Optional 5MHz and 25MHz Function Generator. 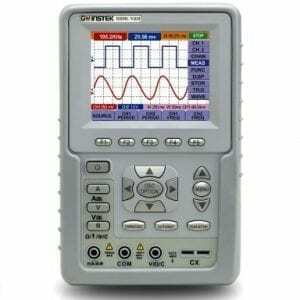 Upgradable CAN/LIN bus analysis, Advanced Logic, Datalog, DVM and H-expansion functionalities.